With a philosophy of ‘give food will eat, and give wine will drink’, I am not exactly a gastro critic. But perhaps a willingness to try (there are points where I draw the line) and adaptability enhance the pleasures of my pallate. So I was looking forward to a varied gourmet experience at one of the world’s culinary capitals, Hong Kong. The 2009 Wine and Dine Festival, organised by the city’s tourism board, was slated to be an event of magnitude, given Hong Kong’s ability to offer an immense variety of local and international cuisine. 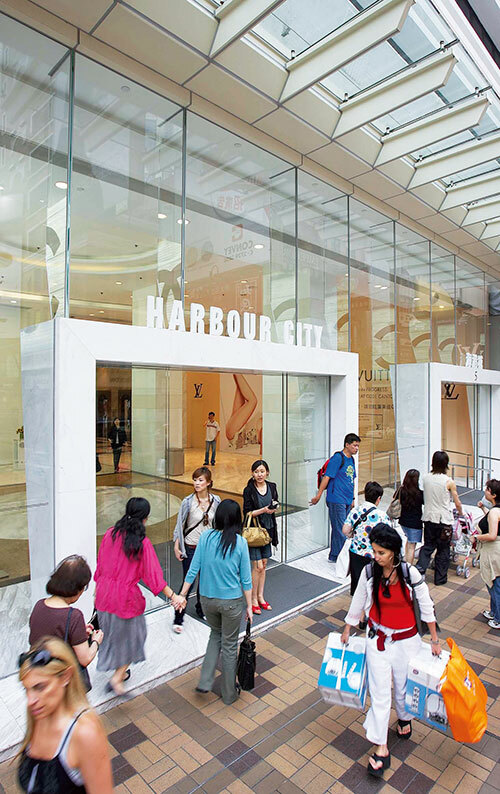 With a multi-ethnic mix of residents and tourists, this harbour hub is an exciting place for food and drink enthusiasts, world renowned for the quality of restaurants, bars, markets and street joints. 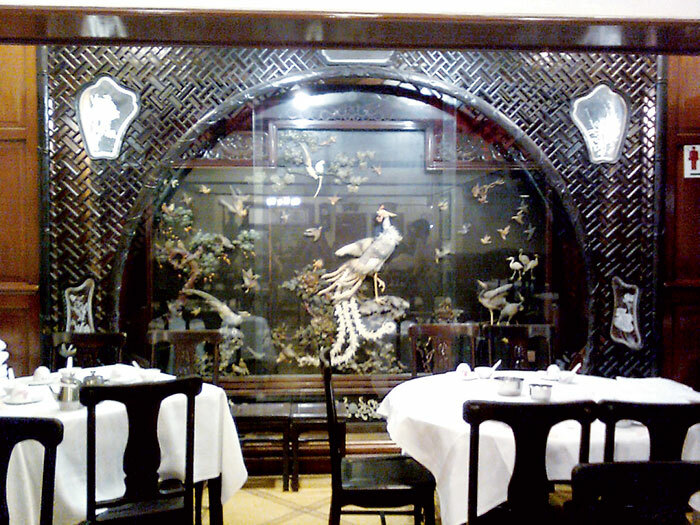 There are menus from almost every corner of the globe, and the list can go on, and on, and on…. 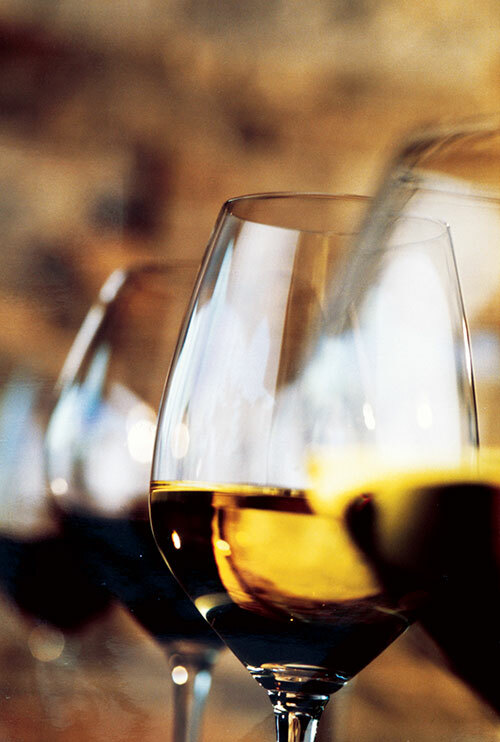 Recently, the city became the world’s top wine auction centre, surpassing New York and London. The el vino culture is growing rapidly. 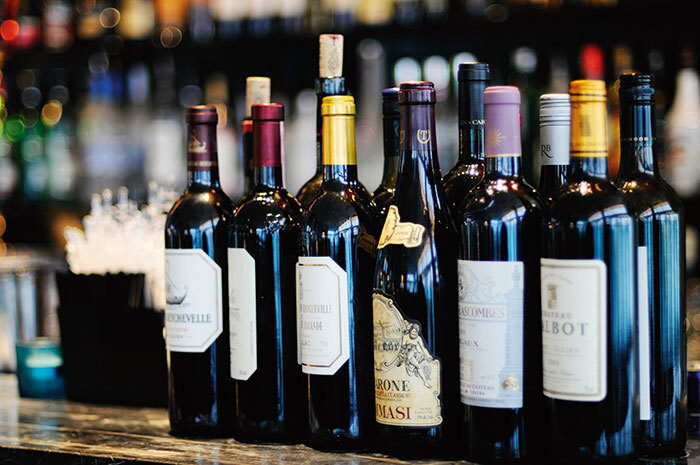 Along with old favourites from France and Italy, New World bottles from California, New Zealand, Chile and South Africa are also very popular. And for the teetotallers, the plethora of teas is enough to lend a heady feeling. 7.30 am: Sunny but misty. Our group of Indian journalists heads for The Four Seasons Place from Hong Kong International Airport. It’s about an hour’s drive over many flyovers, passing by rocky hills that are cut to form steps and walls, like an imposing barricade. And the sea – calm, smooth. 8.30 am: After checking in, we are at the hotel’s Executive Lounge, overlooking Victoria Harbour. Breakfast with a stunning view! The carnivore (yours truly) heads straight for cold cuts and sausages on the buffet, with some salmon sashimi and paper thin slices of air dried beef (the latter is definitely an acquired taste). Organic musk melons and dew fresh squash do wonders for my taste buds. Satiated, I head to my room and watch the luxury cruise liners, steamers, speedboats and dinghies – mightily stagnant or gently bobbing on the water. I want to see an old junk. Apparently, there’s only one left, for tourist viewing. 3.00 pm: After meeting Frederic Leung (to us, just Fred), our friendly and very knowledgeable facilitator from the tourism board, we set out to visit the dried seafood and meat market on Ko Shing Street. I watch a lot of travel shows, but one needs to be prepared for this – Exhibit A: whole, dried duck, B: dried pig stomach, C: sea cucumber and D: gruesome crucified flying lizard (me and reptile are clicked for memoirs). There are swallows’ nests (upto HK$ 15,000 per ounce!) 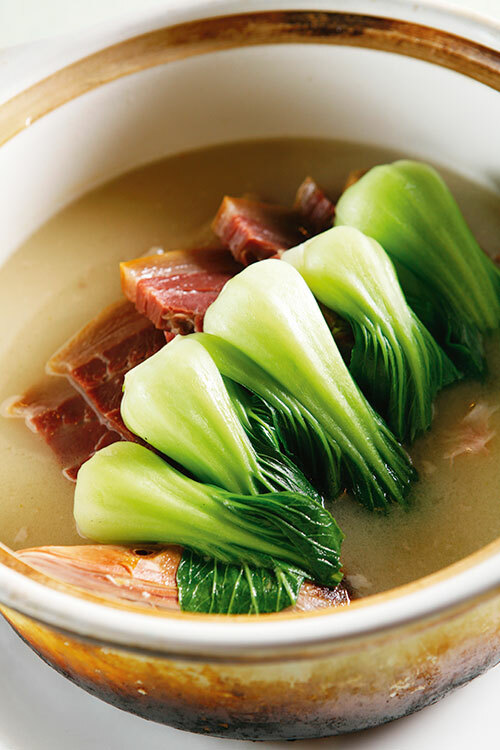 that are used in Chinese cooking, for youth and longevity. 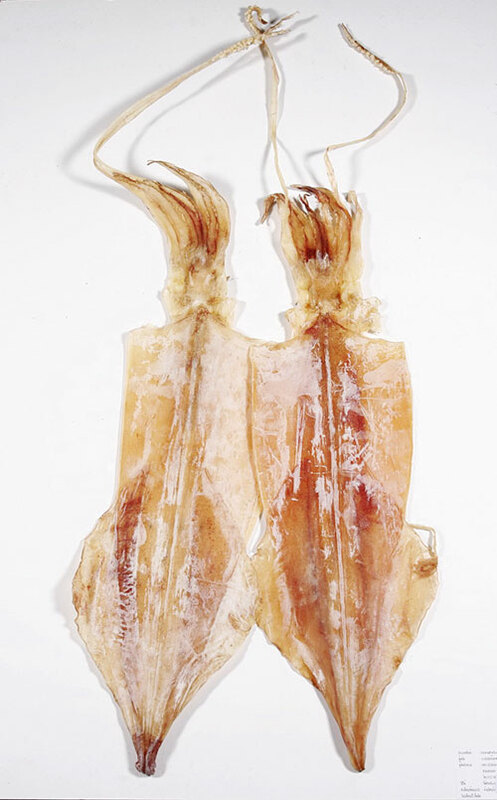 Shark fin size ranges from medium to mammoth (HK$ 3500 average per ounce). Duck heads, chicken feet, giant fungi, squid, jelly fish, sea horse, dried flowers. Intestines, pancreas, tails, eyes, tongues! I’m strangely fascinated by these morbid treasures. But eating? Not there yet. 5.00 pm: After a ride in a ding-dong (don’t get any ideas, that’s what trams are called here), we arrive at Good Springs Company Ltd in the Central area. This tea brewery and Chinese medicine centre’s owner is a qualified doctor of potions. I try a bitter herbal concoction with 24 ingredients (one of them is Vitex Cannabifolia, haha!). Soothing. But tea is not purely flora here. If prescribed (according to ailment), a blend may contain fauna such as ground deer tail/antler (dare I ask why), cicada shells (for good skin) or snakeskin (for virility). Surreal. 5.30 pm: After a quick stop at a local bakery, where we sample a sweet egg tart, we take the skywalk. Traffic can be insane, and a lot of people commute on foot by these walkways. (I saw precisely four overweight locals in three days.) We walk back to our hotel and change into dressier attire, for we have evening plans. 6.30 pm: The Pearl on The Peak is the venue for the cocktail reception of the Wine and Dine Festival. The glass-walled hilltop restaurant offers a panoramic view of the city below. Skyscrapers have come to life (and light) after dusk, and dancing neons paint an electric picture. Flutes of chilled champagne with paper wrapped prawn, meat satay, grilled shrimp and minced beef balls (my favourite), complete with violin and cello, and a cool breeze. Speeches are made, business cards are exchanged, photographs are clicked and souvenirs are presented (a very cool wine cork USB drive). 8.30 pm: A long ride to Kowloon, to The Stables Grill at Heritage 1881 – a new boutique hotel converted from an old British stable. After all those nibbles at the cocktail, I’m not too hungry, but this is dinner (no wine, after so much champagne). We eat crusty bread with mustard mayonnaise, an assorted seafood and meat platter with fresh green leaf salad, mushroom and basil pizza, scallops served on large sea shells (such pretty art), crisp roast chicken, and a dessert comprising brandied wafers, chocolate cream on biscuit base, and a delicate spongy underlayer. Worth wolfing. 10.30 pm: A tour of Heritage 1881 is our post dinner walk. The large courtyard surrounded by pillared verandahs is quintessentially Chinese; the velvet carpeted corridors are bathed in red light from tasselled paper lanterns. The stone floor, iron railings and heavy wooden doors are all original architectural components. Each room is themed differently. The deco ‘Rock Star’ suite is my star pick – the black bathtub is fit for a champagne soak. There are six restaurants (including where we had dinner); one actually has three jail cells (!! ), part of the original plan. I visualise our next fashion photo shoot. 8.30 am: Dim sum breakfast at Luk Yu Tea House in Central. Built in 1934, this place oozes old world charm. Women toddle about, musically calling out names of dishes in steaming bamboo baskets on large metal trays. Here, affluent old gentlemen begin their day over newspapers. (Then I learn that this restaurant was the spot for a sensational murder, many years ago!) 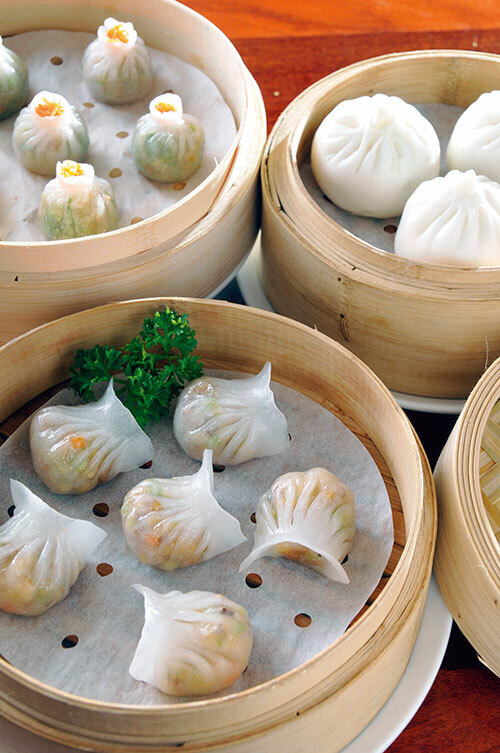 The menu boasts of over 75 varieties of dim sum. One small request – could we also please ask for cutlery, since fashionista here cannot use chopsticks? Amused tips are offered. We try prawn, pork, steamed fish, mixed vegetables and a delicious pork and beef blend, then sticky rice with shrimp and ham cubes, a duck pastry and a steamed barbecued pork bun, over endless cups of strong jasmine tea. We finish with mango crepe (yummy), almond and milk rolls, and a black, gelatinous square of aduki bean dough. 10.30 am: At the Riedel Room of the JW Marriot, we are scheduled for a wine glass tasting. Ravi Gidumal, chief distributor of Riedel (the Austrian luxury wine glass company) in Hong Kong, tells us that this will be a novel experience for the Indian team, since we don’t have a ‘wine culture’. Presumptuous? I’m okay (I really don’t have a ‘wine culture’) but some of the group are justifiably ruffled. A dramatic tasting ensues, as we learn that different shapes are optimal for different wines; structure and glass quality can actually enhance or spoil the taste. We try the correct and incorrect glasses and voila! The man is actually right. Lesson 1: There’s a reason why drinking in the morning is avoidable; everything tastes acidic to the human tongue. Lesson 2: When we don’t enjoy a drink, we always blame the wine, but never the glass or the setting. Wine is about senses, and everything matters. 12.00 pm: Realisation. A packed itinerary with a plush hotel to plush restaurant routine hasn’t shown me the real Hong Kong yet. 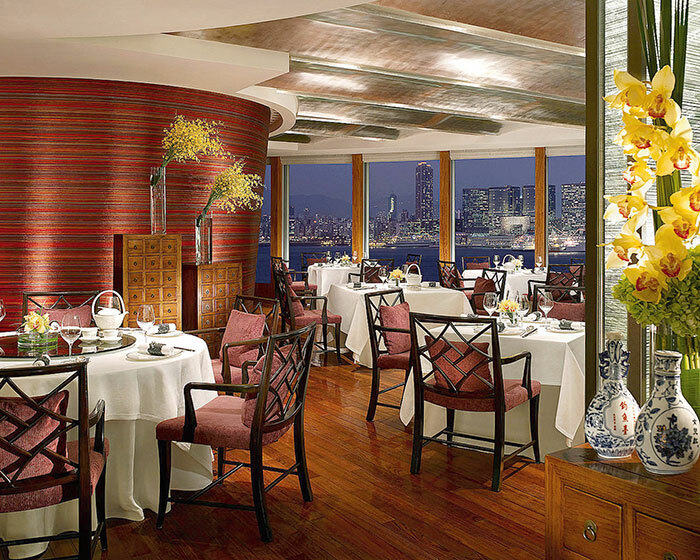 1.00 pm: Lunch at The Four Season’s triple Michelin star restaurant, Lung King Heen, with PR director Nicola Chilton. She somewhat resembles Julia Roberts, and greets us warmly. (I’ve changed for lunch, but most of us are clad in – ahem – track pants!) 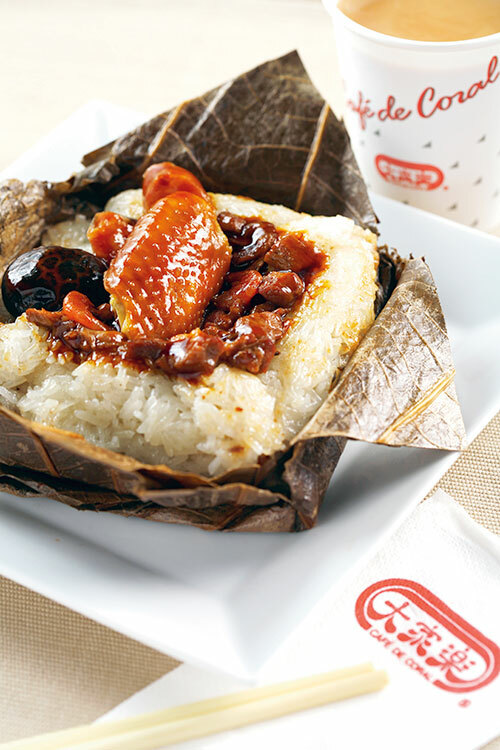 A seven course meal has been set by master chef Chan Yan Tak, and it’s going to be gourmet Cantonese. 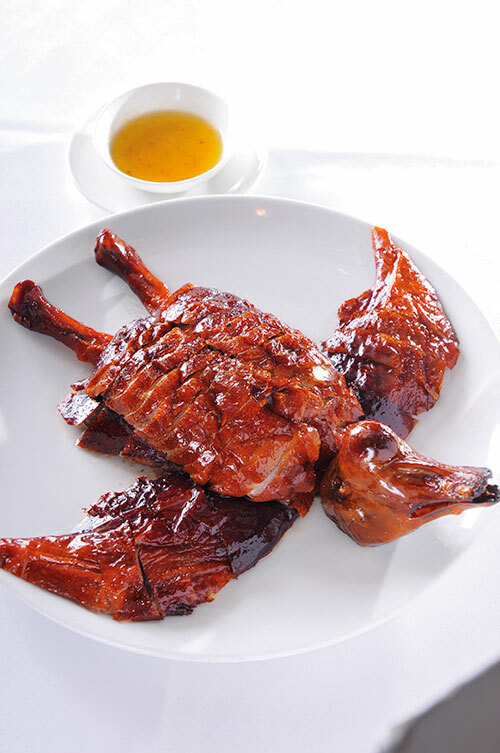 Deliciously juicy scallops, crispy roast goose, served with a special XO sauce that is not furiously spicy, but milder. Although my favourite is the suckling pig (crunchy skin, tender meat, fat and a layer of some special dough), my conscience is scarred at the thought of eating an infant animal. Never again, I promise myself. ‘Hypocrite!’ – my brain taunts. The chef visits our table, amidst a round of applause (and I’m using knife and fork!). After vegetables in stock comes the lobster rice, but we are all so full that none of us finish. Plus we’re running late for our next session, so we have to skip dessert. 3.30 pm: We rush to Kowloon for our ‘make your own bean-curd pudding’ class, at The Sweet Dynasty restaurant, right next to Harbour City, one of the city’s largest shopping centres, with gleaming designer stores (Vuitton, Chanel, Zegna, Prada et al) on one side and high street brands on the other. 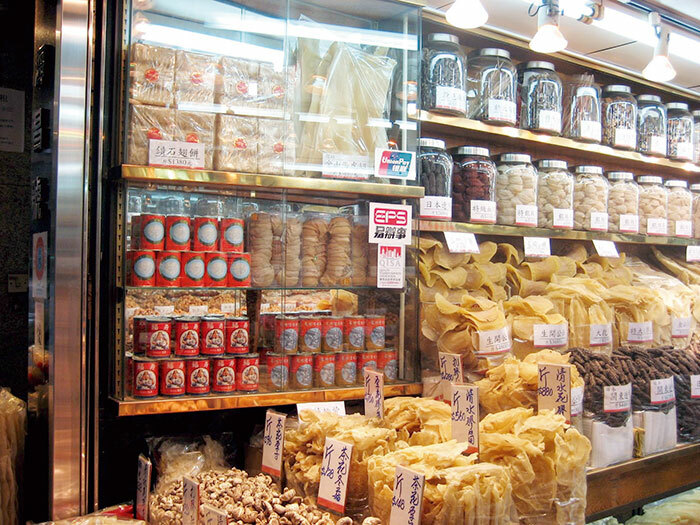 After a tour of the chaotic but organised, super-busy kitchens and the ominously glinting steel refrigerators, I decide to excuse myself from bean-curd making and step outside for some browsing and buying. 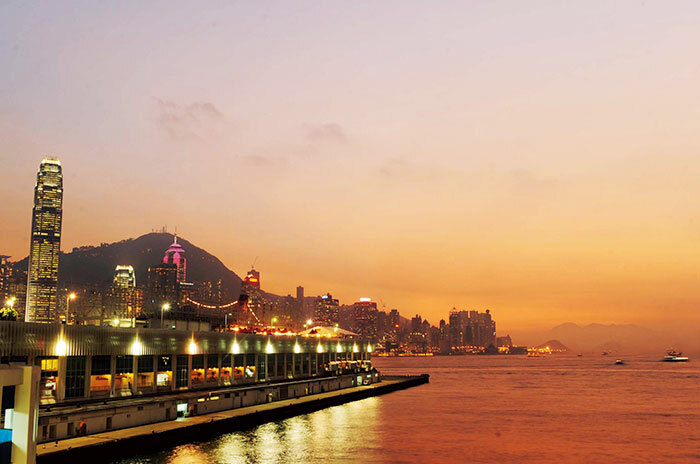 6.30 pm: The West Kowloon Waterfront Promenade is the venue for the Wine and Dine Festival. It’s like a giant fair, with hundreds of food and wine stalls and thousands of samples from different international cuisines. Overwhelming is an understatement! My lunch is still alive and kicking, but the heady mix of aromas acts as an instant appetiser. I flit from stall to stall, sampling only select recommendations – shark fin soup (another cruel food), turnip cake (strange sounding, but tasty), goose liver pâté on bread, parma ham wrapped breadstick, Thai duck curry, paella, varieties of cheese, yin-yang (a milk tea-coffee blend), some wine – mainly Bordeaux and New Zealand brands, and lastly, I surrender to a Godiva chocolate ice cream. Wines, packaged food, beverages and sauces are also for sale, and some of my gift shopping is done here. 8.30 pm: We squeeze in an express tour of the famous Temple Street Night Market, but time does not permit exploration of more than one-fourth of the place. Designer fakes continue to thrive, and I very righteously try to stop a group member from buying, but in vain. Bristled, I polish my bargaining skills. 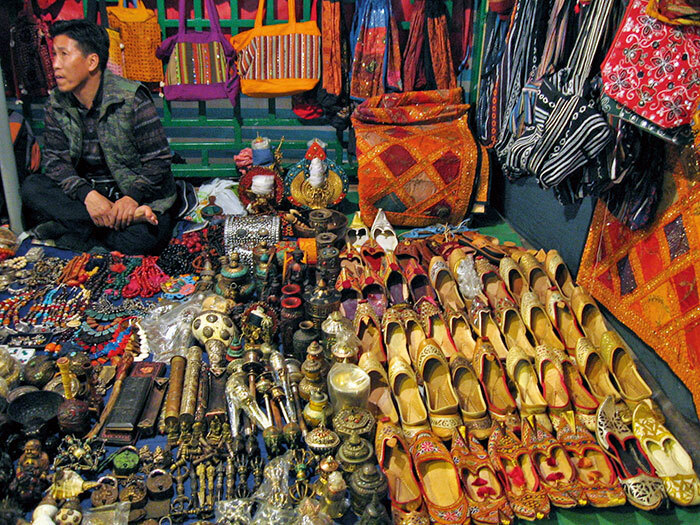 Most items are now mass manufactured, but to those with time, patience and an eye, this place can be a treasure trove, not for fashion, but for souvenirs, trinkets, gifts and home décor. I would not recommend buying jade from here though, and I’m also not sure about electronic goods. 10.00 pm: A late buffet supper (I’m so ‘fed up’!) at Café on the Park – Royal Pacific Hotel & Towers. From the pretty expansive spread (it’s a great value dinner place), I only have space for salmon and prawn sashimi with salty soy sauce, leaf-wrapped sole and some coffee. Predictably, there’s more chatting than eating at the table. We end our evening with some cheesy ghost stories and lots of laughs. 10.00 am: We’re at Paul’s Kitchen on Graham Street, Central. Young celebrity chef Paul Lee, all of 28 years (and TV star looks), is to take us through vegetable shopping and a cooking demonstration. It’s Halloween today and his neighbouring bar, called Paul’s Wine Bar, is done up with fake cobwebs, giant spiders, pumpkins and paper cutouts of Casper the ghost. We follow Paul to the nearby market, where he only purchases carrots (is this a joke?) and I divert my attention to the lovely seafood – live lobsters and crabs, giant prawns, many varieties of fish, oysters and squid. Fresh meat shops sell chicken, pork, beef, lamb and some more exotic stuff that I dare not ask about. We return to the restaurant, where Paul prepares cream of carrot soup, and I’m more interested in the Evian bottles designed by Christian Lacroix and Jean Paul Gaultier. 11.30 am: Since there’s time before lunch, I take a long walk and spot more Chinese medicine shops that have surreal displays of dried horse bezoars, antelope horns and, hold your breath, dinosaur teeth! People buy, and more importantly, believe! At numerous spots, there are tiny ‘temples’ with Buddha idols or Buddhist symbols, fragrant with burning incense. 12.30 pm: Lunch at Paul’s Kitchen comprises three simple courses – cream of carrot soup, salmon fillet with potatoes, wand apple crumble. Homely and nice (not the crumble – I could have made better!) but nothing to rave about. Oh well, I met a celeb chef. 3.30 pm: At One Harbour Road, Grand Hyatt, we have a food and wine pairing session with Jeannie Cho Lee, the first Asian Master of Wine (there are only about 270 Masters in the world, over a period of 60 years, and the average yearly pass rate is five people!). Impeccably dressed and polished, she speaks about her new book called Asian Palate, and her time consuming research process to pair different varieties of Asian food with complementing wines. We have a go – spring roll, abalone and scallops with sips of Sauvignon Blanc and Cabarnet Sauvignon. There’s a raffle afterwards, and one of my group members wins a signed copy of the book. She beams and beams. 6.00 pm: Some more free time, so we visit Times Square, another enormous mall. Post dusk, people have started dressing up for Halloween. I spot a giant bunny couple, kissing, and it’s a rather frightening sight. I wander off. 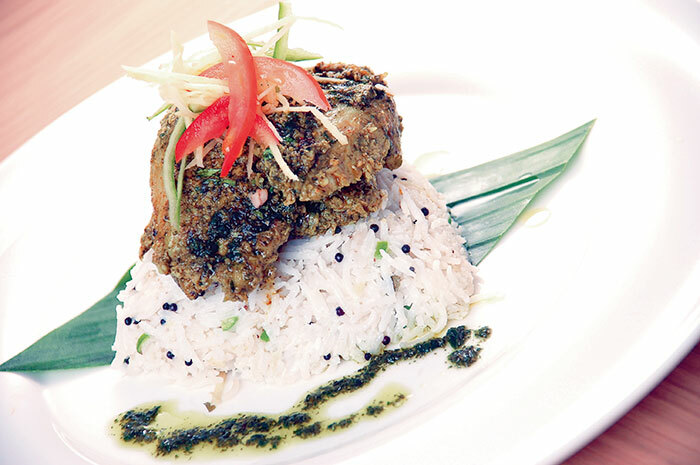 7.30 pm: Duetto in Wan Chai offers separate Italian and Indian menus. 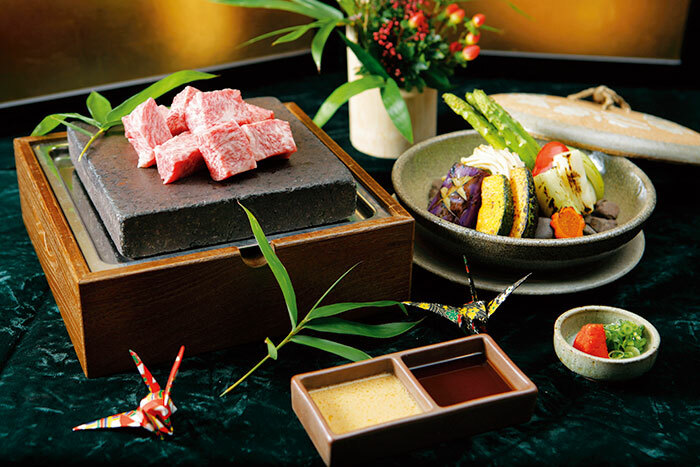 There are no hybrid dishes (except one dessert); all are authentic. We want to try both cuisines. We ask for kebab platters, chana chaat (really good) and patrani macchhi (served without the leaf). Then the Italian chef sends us his favourite creations. I love the bruschetta – so fresh. The secret ingredient of the crusty bread’s dough is potato, and unlike the Chinese masters, our Tuscan chef readily divulges this information.I taste more conscience-scarring items like veal and lardo, which is the fat of a Tuscan mountain boar, served on bread. For dessert, there are hot, soft, melting gulab jamun, gulab panacotta (the sole Indo-Italiano hybrid) and tiramisu. 11.00 pm: To burn off the three day stock of calories, I suggest a walk to Lan Kwai Fong, to experience the city’s largest Halloween parade. Only one more person from my group shares my enthusiasm. We take the skywalk, and almost the whole of Hong Kong is headed where we are going. Everyone is in costume. Dressed in regular clothes, we feel like the freaks. We spot the popular stereotypes – a slutty nurse, Dracula, Addams Family, Spiderman, Batman, The Joker, The Mask, a mummy. Some are more imaginative; some are a tad subtle, and I have an excellent time being part of this madness. 5.45 am: Departure day, but I squeeze in one more ‘visit’ with my Halloween partner. We arrive at a fishing dock in Aberdeen, to see the first catch of the day being brought in. Some fish are packed in the boats themselves, while the live ones are carried to the sorting area on wheel barrows. There are large glass tanks all around, with marine life swimming about. 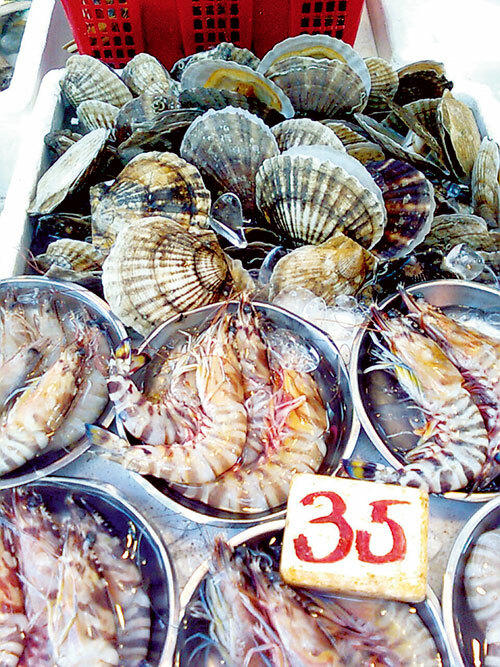 Rainbow crab, giant lobster, shrimp and many, many different kinds of fish. No one speaks English (apart from saying ‘very good’ repeatedly for no apparent reason), so we can’t ask what kind of fish they are. Grey-green crabs are rolled with twine, individually labelled and rowed up in wooden crates, looking disturbingly similar to hand grenades. Stacks of ice boxes containing catch are picked up by trucks that take them to markets or restaurants. 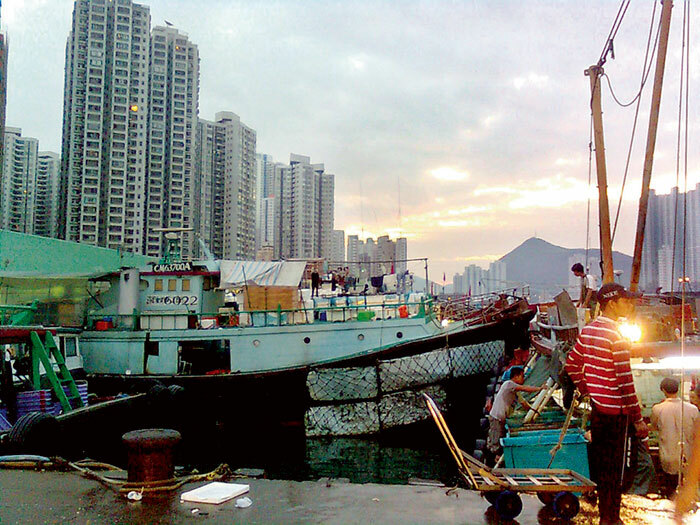 Some locals actually prefer to visit the docks every morning, and buy fish directly from here. After fish water splashes (a bath, practically), we return to the hotel, smelling beautiful. 11.00 am: All packed, we regroup one last time in the lobby, bid our goodbyes to Fred and set out for the airport. 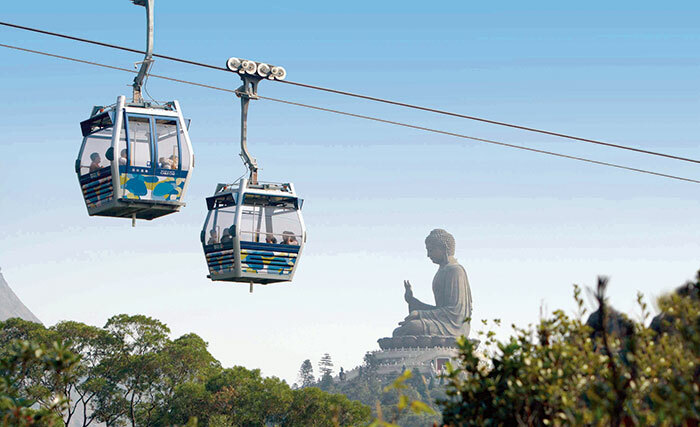 On the way, I spot the cable car line to Ngong Ping, the Tian Tan Buddha and Po Lin monastery, where they apparently serve the most divine vegetarian Chinese fare. I recall Nicola Chilton’s trivia – apparently one can eat at a different place in Hong Kong, every day without repeating, for a period of 30 years!